Laguna Hills has a long and storied history that began all the way back in 1821 following Mexico’s independence from Spain. With its proximity to the beach, it’s easy to see why so many people love calling this historic community home. Whether you’re moving your family to this beautiful city or life is taking you elsewhere, our Laguna Hills movers can ensure your move goes smoothly. Since 1972, our Laguna Hills moving company has been helping residential clients just like you with all of their moving needs. That’s because we’re an agent for Wheaten World Wide Moving. Our partnership enables us to connect with movers from all over the world, allowing us to help you move down the street, overseas, or anywhere in between. One of the ways we ensure you get the exact moving services you’re looking for is by partnering you with your very own move coordinator. Unlike other Laguna Hills moving companies, we provide you with a single point of contact to answer your questions, address your concerns, and execute a moving plan to your exact specifications. Although it’s true that we can coordinate your move to perfection, that’s not all we do here at Coast Valley Moving. 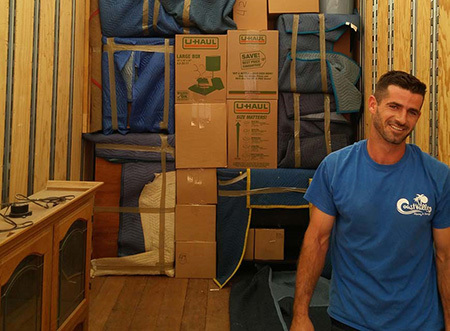 We’re your complete Laguna Hills moving and storage experts. Our climate-controlled, air-conditioned warehouse can keep even the most sensitive electronics and antiques in mint condition. Our storage facility is equipped with advanced fire and theft protection systems, further protecting your belongings. Let us hang onto your stuff for a few weeks, a few months, or a few years. We offer both short- and long-term storage options. We can even coordinate storage with your move, so you don’t have to worry about packing up and dropping off your belongings at our warehouse. We’ll do it all for you! We understand how important it is to stick to a budget, especially when it comes to a big move. After all, there’s nothing worse than receiving an unexpected bill when everything is all said and done! Our Laguna Hills moving company will put your mind at ease with a free quote. Just give us a call or fill out our online form to learn more!